Having known each other and sporadically worked together since the late '60s, Dave & Barbara's recording career began in earnest in 1981 when the hit single 'It's My Party' propelled them to the top of the charts (see A Brief History of Broken Records for details). 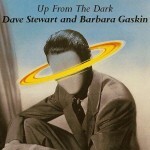 A series of 7" singles followed (The Vinyl Archive) and in 1986 US company Rykodisc released the first Stewart/Gaskin CD album Up From The Dark. This was followed by four Japanese CD album releases. 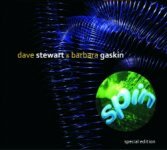 Since releasing their long-awaited new album Green and Blue in 2009, Dave & Barbara have reissued their earlier albums in new remastered, expanded Special Editions. 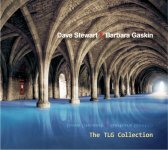 The entire Stewart / Gaskin CD catalogue can now be purchased at our online store. In contrast to the dense, layered textures of The Big Idea, Spin is a lighter album with more of a pop sensibility. Opening with a mad re-imagining of Rufus Thomas' R & B classic 'Walking The Dog', it also features reworkings of the great '60s singles 'Eight Miles High' and 'Cast Your Fate To The Wind' and a haunting version of Joni Mitchell's 'Amelia'. Dave Stewart originals include the tender ballads 'Star Blind' and 'The Cloths Of Heaven' (based on a poem by W.B.Yeats), and a tribute to the legendary record producer Joe Meek, 'Your Lucky Star', presented here for the first time in its full-length form. Originally released in 1991. The Stewart/Gaskin Special Edition reissue series continues with the awesome 'The Big Idea'. Originally released in 1990, the album includes a cover of Billy Bragg's 'Levi Stubbs' Tears' and a savagely deconstructed electronic version of Bob Dylan's 'Subterranean Homesick Blues'. 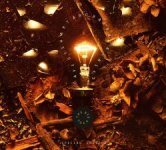 It culminates in the monumental 'New Jerusalem', a sonic epic featuring a 25-voice Welsh choir, the pipe organ of St. Georges Hanover Square and Porcupine Tree's Gavin Harrison on drums. 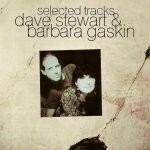 This is a compilation of the first six Stewart/Gaskin singles (including the number one hit 'It's My Party') along with their 'B' sides, originally released in Japan in 1987. The 2010 Special Edition has been remastered and expanded: the twelve 'A' and 'B' sides are presented in full, unfaded form and supplemented by two 12" mixes, the instrumental 'A World Of Difference' and 'This Is Human Speech', the first ever Stewart / Gaskin recording dating from 1979. A remastered and expanded version of the 1988 Japanese compilation. The original nine tracks (a mixture of early Trident Studios recordings plus the 'A' and 'B' sides of Dave & Barbara's 7th. single 'The Locomotion') are supplemented by an extended 12" mix reworking of 'The Locomotion' and remakes of the first Broken Records single 'A' and 'B' side (originally sung by Colin Blunstone) with new vocals by Barbara Gaskin. Includes a cover of XTC's 'Roads Girdle The Globe'. Prior to playing at Tokyo's Tribute To The Love Generation club in 2001 Dave & Barbara compiled a personal selection of rare and unreleased tracks. The compilation was sold in a strictly limited edition to the concertgoers under the title of 'TLG Commemorative CD' and has not been available since. The music remains unchanged from the Japanese edition but the album (retitled 'The TLG Collection') now features a completely new design by artist Michael Inns and a 12-page colour booklet containing photos from the duo's personal archive, full track credits, new text and song notes by Dave Stewart. Musical contributors include Andy Reynolds (guitar), Jakko Jakszyk (guitar), Gavin Harrison (drums) and Annie Whitehead (trombone). 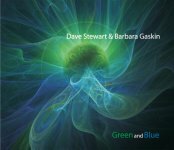 After a long period of public silence Stewart & Gaskin resurfaced in spring 2009 with a new album 'Green and Blue'. The CD features long-time collaborators Andy Reynolds (guitar), Gavin Harrison (drums), Peter Blegvad (narration) and the amazing Amorphous Choir of Wales on backing vocals. In a departure from their earlier style,'Green and Blue' features only one cover version, marking Dave’s growing confidence as a songwriter. This is the duo’s most varied album to date, combining delicate, heart-rending ballads with moments of heavy metal fury, but the diverse material is unified by the trademark musicality which underpins all of Dave & Barbara's work. By the time Green and Blue (see above) was completed there was too much material to fit on a single CD - hence this bonus CD, which contains two extra songs originally intended for the album (one a highly entertaining cover of the legendary rock'n'roll classic 'Shakin' All Over', the other ('This Wind Blows Everywhere') a beautiful ballad in the trademark Stewart / Gaskin mould). Also included is the extended version of 'Henry & James' which has been requested by many listeners since its appearance on a Flexidisc in US Keyboard magazine back in 1985, and two extra tracks (one unreleased) which celebrate the genius of maverick British pop producer Joe Meek. 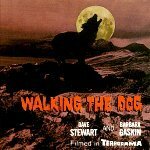 In 1992 Line Records (Germany) made an brave attempt to break into the UK pop market with a CD single of Dave & Barbara's 'Walking The Dog'. This featured a remix of the old R&B stomper plus the lovely 'The Cloths Of Heaven' and a bonus track, the ever-enjoyable 'The Locomotion'. The 'Walking The Dog' CD single remains a very collectable item. The short-lived European compilation Selected Tracks was put together at the request of Stiff Records' licencees Musidisc (France) and Disky Records (Holland). The album comprises five tracks from Spin, three from The Big Idea, five 7" single 'A' sides', one 'B' side ('Make Me Promises'), and the great Tamla Motown song from the 1982 Trident Studios sessions, 'I Know I'm Losing You' (also covered by Dave's grandfather Rod). 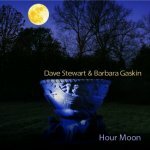 A good introduction to the poppier side of Dave & Barbara's music, featuring some of their most radio-friendly songs (now deleted). Rykodisc were the world's first CD-only company. 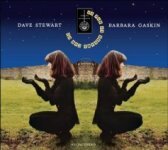 A deal to release Dave & Barbara's music in the USA & Canada was struck with Rykodisc in 1984, but due to the shortage of CD pressing facilities at the time 'Up From The Dark' wasn't released till 1986. The album includes a mixture of the duo's 1982 Trident Studios recordings (marked *) and some later work, including the beautiful ballad 'Do I Figure In Your Life' originally recorded by The Honeybus in 1968 and the quirky 'Henry & James', a great favourite with US audiences. After Rykodisc was bought by Chris Blackwell of Island Records, 'Up From The Dark' was deleted - however, all its tracks are available on other Stewart / Gaskin albums.